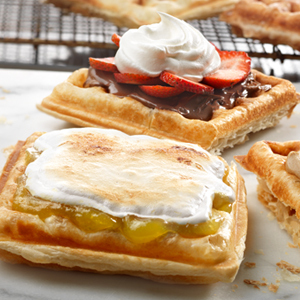 Forget the messy batter, these perfectly crisp waffles are made with tender, flaky puff pastry. Simply trim the pastry to fit the waffle maker and cook until golden brown. 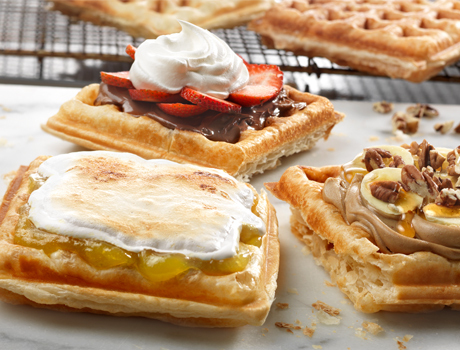 The result is a light and airy waffle ready for your favorite toppings!